I read with delight the announcement that the NZ government will now relook at how it funds those who care for family members with disability, and repeal section 4A of the NZ Public Health and Disability Act. That is a big step in the right direction. But it does need to be put into a broader context: when it comes to disability issues, New Zealand is waaaayyyyyyy behind the game. In the last few years I have learned from a disabled friend that NZ legislation on disability is patchy and (like section 4A) discriminatory, not fit for purpose, and, to a great extent, ignored. Individuals, organizations, and even the government alike routinely flout what positive legislation does exist with few sanctions or prosecutions. Societal attitude in New Zealand is that disability is “someone-else’s problem.” It is not. The UK Institute of Physics has resources on disability prepared specifically for university physics departments. (Note the year, 2008 – ten years ago, but still way ahead of what we are doing here in NZ). 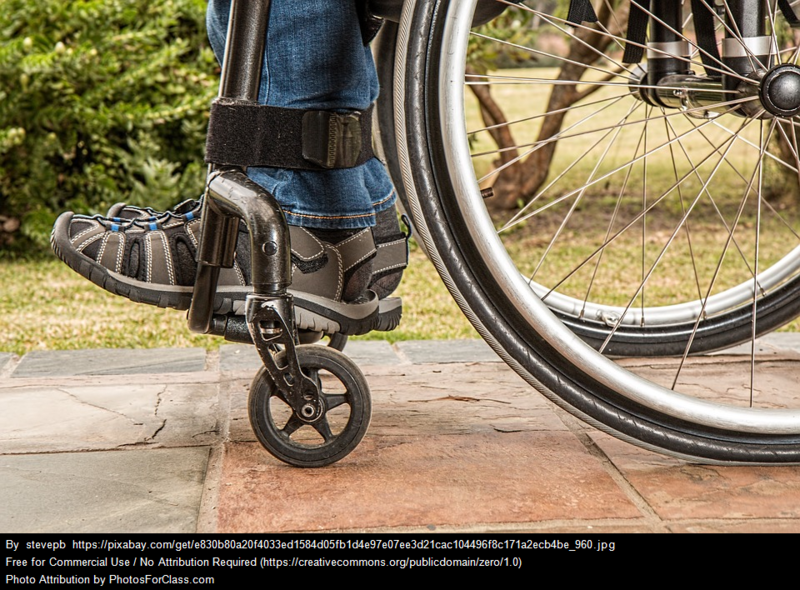 There is a legal obligation here for UK universities “to be proactive in ensuring that disabled people are treated fairly.” Proactive means not waiting until a disabled student enrols before changing the access in and around a laboratory. It means doing it now. We simply cannot wheel out excuses such as “it’s too difficult”, or “scientists and engineers need to do lab work requiring good vision and movement”, or “we can’t take a disabled student on a field trip”, or “it’s too expensive to modify our buildings”, or “we don’t have enough space” or “we don’t have enough staff”. In the UK, that won’t wash. Sadly, in NZ, it still does. Environmental. These are perhaps the obvious ones – rooms that can only be reached by steps or by opening heavy doors and crowded laboratories where it is unsafe for a vision-impaired student to move around. But there are more subtle ones, for example, lecture theatres where the only place for a wheelchair is at the front, thus drawing unreasonable attention to the wheelchair user. Institutional. These describe a university’s or department’s policies and procedures that implicitly discriminate against the disabled. Examples include timetabling that requires students to move from one end of the campus to the other in just ten minutes; teaching methods that require students to have good vision; mandatory use of software systems that are not friendly to some users. Attitudinal. Here we are talking about problems stemming from focusing on a person’s disabilities, not their abilities. Rather than saying “I can’t have a deaf person in my lab class – it’s not safe”, say “how can I change what I do to make it safe?” Remember, in the UK, there is a legal obligation to be proactive about this – not waiting until a deaf person turns up for the lab before thinking through the situation. The biggest barrier in NZ is the last. If we can change the way we think about disabled people from “they are disabled” to “they are people”, the other two issues are likely to follow. This last question is damning, and there are two answers. The first is likely to be “more often than I think – I just couldn’t be bothered to find out and adjust my practice accordingly.” But if we make the question more specifically about those with moderate or major physical impairments (e.g. wheelchair users or the blind) I think the answer is “once” – a wheelchair user. In 14 years, I can only recall one such student in my classes! Now, I know for sure that one student in 14 years does not accurately reflect the prevalence of moderate or major physical disability in young adults in New Zealand, by a long, long way. The obvious conclusion is that those with such disabilities have not been part of my classes because they don’t bother trying to be – they know that the classes and/or the department and/or the university is simply unavailable to them. Whether it’s the difficulty of using the online enrolment system, or the problems of opening the heavy doors of the buildings, or operating equipment in a crowded, noisy laboratory, or being unable to sit discreetly at the back of a lecture theatre like other students, or going up and down the hill to get something to eat at lunchtime, or dealing with ablest attitudes from staff and students, or simply being unable to reach the assignment hand-in slot, I can’t be certain. But I can be certain of this: New Zealand universities, along with many other institutions, need to change. It is long overdue. – Access for all: A guide to disability good practice for physics departments. Institute of Physics, London, U.K. October 2008. The post New Zealand: It’s time to up our game on disability appeared first on Physics Stop.